Here at Calluna, we are always looking for new ways to highlight and honor some of the amazing creative partners we get to work with. We feel incredibly fortunate to work with some seriously talented vendors in the industry, and we are showing them off to you in our Calluna Community Series! We are sitting down with some of the fabulous vendors of Colorado to get to know about them, their business and what life is like behind the scenes. This week for Calluna Community, we caught up with Annie and Mark of The St. Vrain! 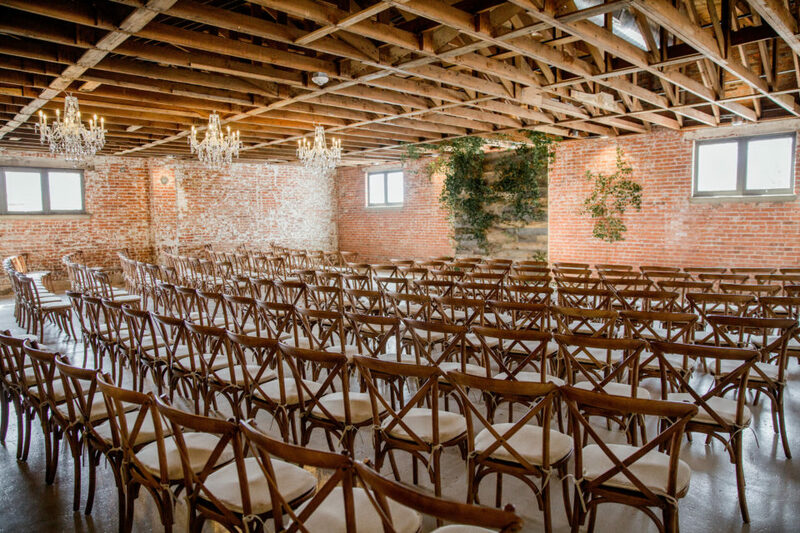 As owners of The St Vrain, we (me and my hubs, Mark) like to think of ourselves as having the pleasure of helping couples have the day they’ve been dreaming of by providing them with a beautiful blank canvas waiting for their personal touch! What is your idea of a dream project? Much of our career as entrepreneurs has been centered around design that enhances life! For more than two decades we designed and manufactured home decor that was sold world wide. 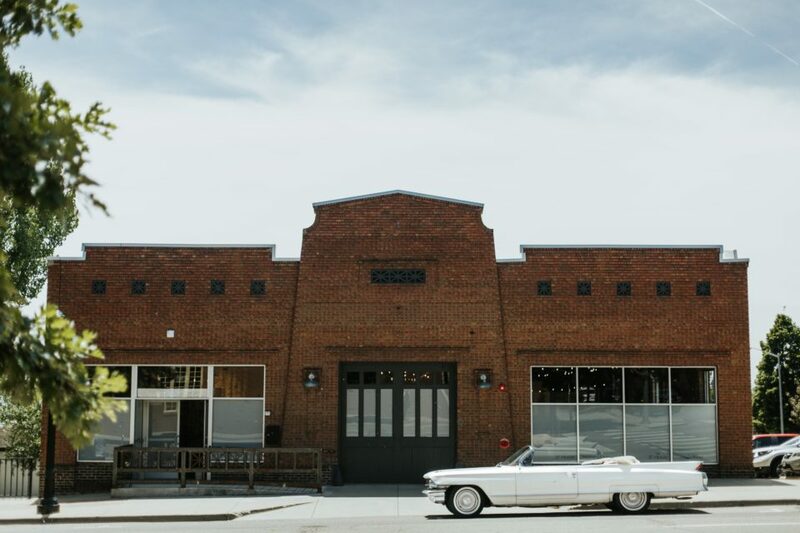 So when we began a new chapter and found the amazing building that is now The St Vrain we couldn’t resist bringing one of Colorado’s first auto dealerships, circa 1900, back to life to become a beautiful backdrop for one of life’s biggest and most important celebrations! 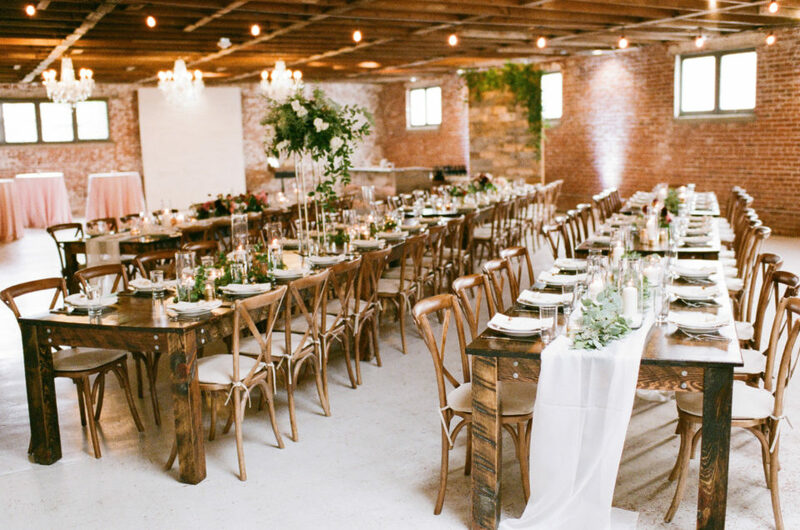 What has been your favorite wedding that you have worked, or attended? Most recently, our daughter and son-in-law’s wedding. Yep, admittedly 100% biased! Our daughter is an artist/designer so you can imagine how fun it was to see her creativity expressed at her own wedding! In addition to all of that goodness, it was such a pleasure to be a client at our own venue and of some of our favorite vendor friends! We loved having the experience we hope every couple has at TSV! Mornings begin generally begin in a sunbeam with coffee beans and a brisk walk with our fur faced child around the park! What are some of your favorite trends that you are seeing? I’ll get a little philosophical and say I see HOPE as a trend! When you watch how creatively today’s couples express who they are as a pair, you can’t help but be happy and hopeful! Week after week, we get to witness how families and friends all come together to celebrate two people they love. It really doesn’t get much better than that, does it? What makes you excited to go to work in the morning? It’s more about the day than a check list…like wondering what shape the day will take, who I will have the pleasure of meeting and what they might have to teach me. It’s probably an age thing. Life is a lot different in my 50s than it was in my 30s! What is your favorite cocktail, or what are you drinking tonight? Hands down a NEGRONI! Fell in love several years ago while living in Rome for a short stint with my hubs. Is it wrong to say a cocktail was a life altering experience because we’ve never been the same – ha! Cheers! Check out The St. Vrain and follow them on Instagram!